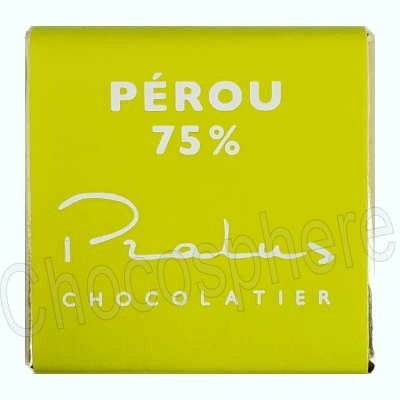 François Pralus' Perou dark chocolate bulk squares are made with single origin Peru Trinitario cacao, a six-variety blend of the eight varieties in the country. This delicious chocolate starts with a flavor note of coffee, transitioning to cinnamon. The finish is a clean, fresh citrus flavor that persists. Each square is approximately 5g, a perfect size for a single taste. 75% Cocoa. 1 Kg / 2.2 lbs net weight in a plain container. Sold by weight, contains approximately 200 squares.